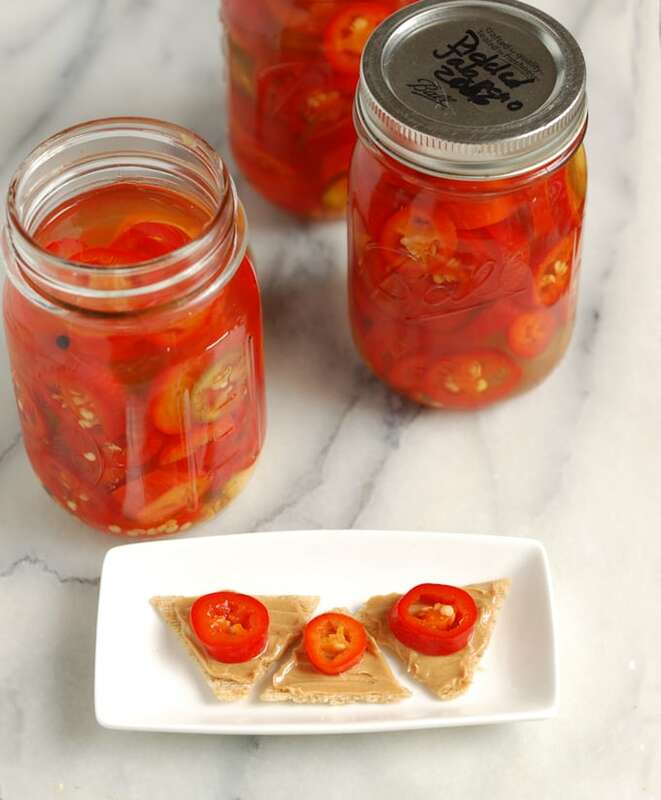 You can save the taste of summer with home-canned Pickled Jalapeno Peppers. Do just a bit of work now and you can enjoy a little summer heat all winter long. We’ve gotten a whole bunch of hot peppers with our farm share this summer. 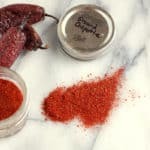 Much as I love a little chile heat in my food, there’re only so many peppers that I can use fresh. Since I’ve already got a big bag in the freezer, it’s time to find another way to save the rest of the peppers. Thank goodness we can preserve summer produce to enjoy later in the year. 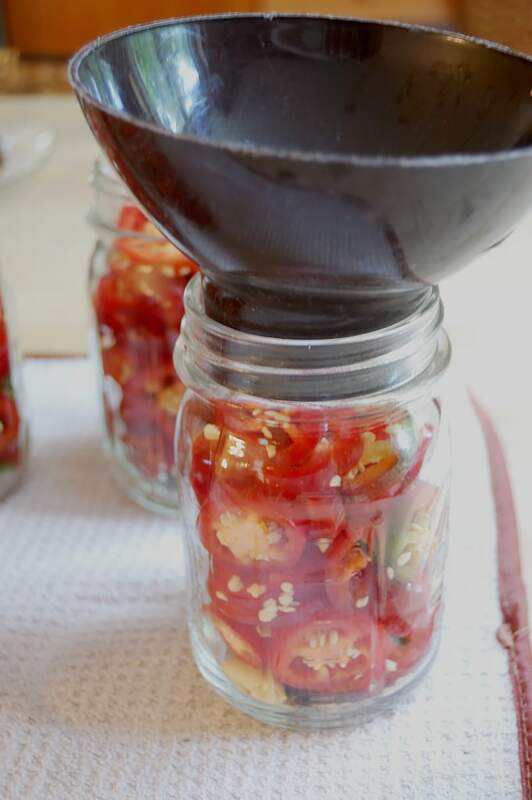 When you’ve got low-acid veggies like peppers, pickling is a great and safe way to preserve the harvest. I think home-made Pickled Jalapeno Peppers are so much better than the canned peppers from the store. 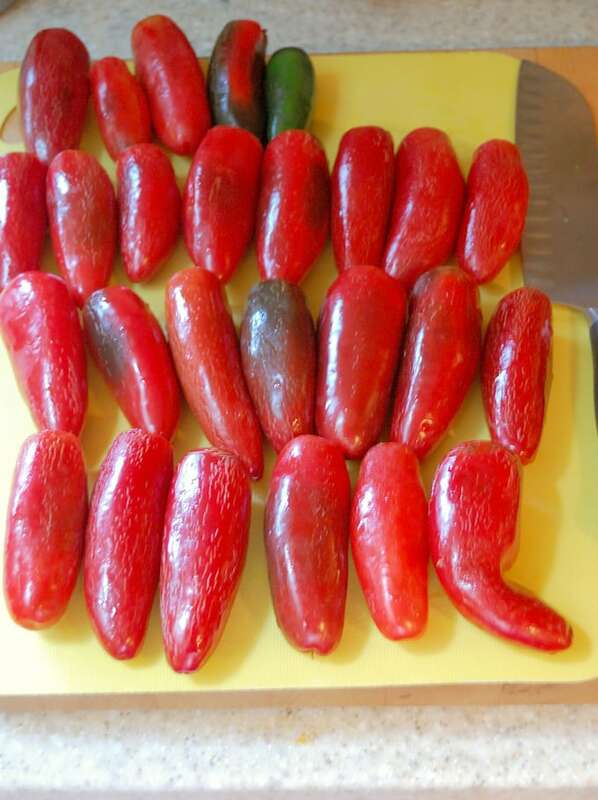 I flavor my pickles with a hint of garlic, oregano and cumin for a Mexican flavor profile. 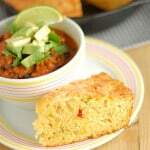 You can add whichever spices you like best, or none at all. I grow oregano in my garden so I used a small sprig of the fresh herb. Fresh oregano is pretty strong so a little goes a long way. Use a pinch of dry oregano if you can’t get fresh oregano. 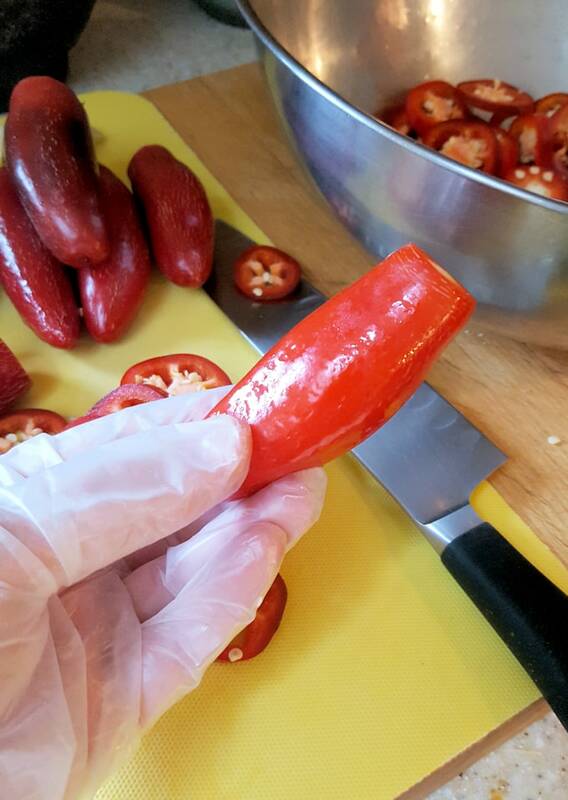 It’s a good idea to wear gloves when working with hot peppers. 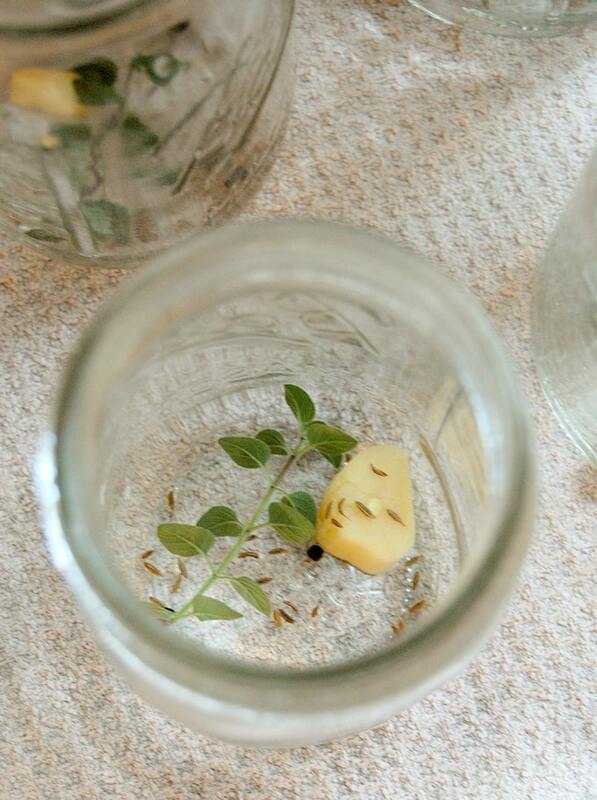 Place oregano, cumin and garlic in each jar to flavor the peppers. 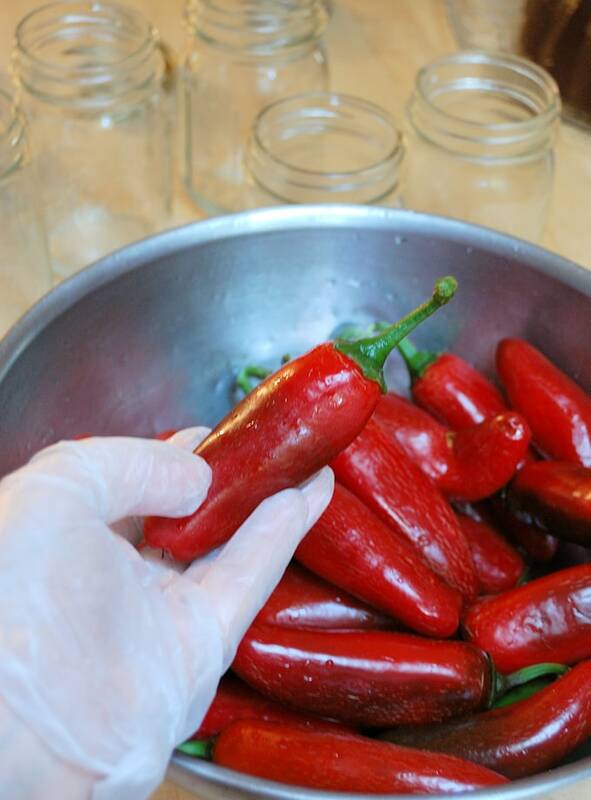 Pour hot brine over the peppers, leaving 1/2″ headspace. 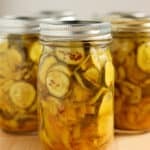 If you make a small batch of pickles and end up with just a jar or two they can be refrigerated and used right away. For a larger batch, like this recipe makes, I like to process the jars in a hot water bath so the pickles are shelf stable. 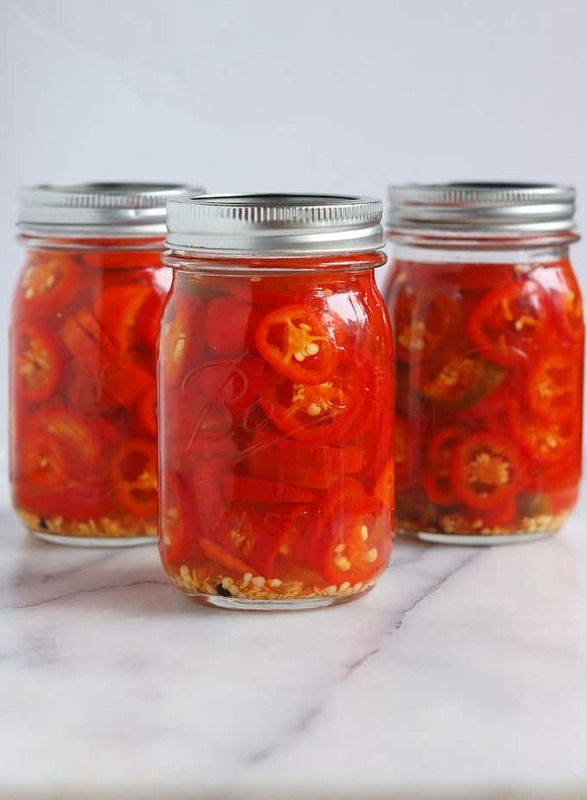 As long as you use proper canning jars and you process the jars in a hot water bath to make sure they’re sealed, these Pickled Jalapeno Peppers will keep for a year in the pantry. I suggest you visit the Ball Canning Website to review the basics of home-canning in a hot water bath. 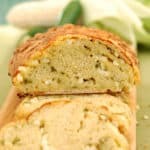 I love to add Pickled Jalapeno Peppers to tacos, nachos, chili and other Mexican and Tex Mex dishes, but they’re also great on a sandwich with cheese or peanut butter. The possibilities are endless. 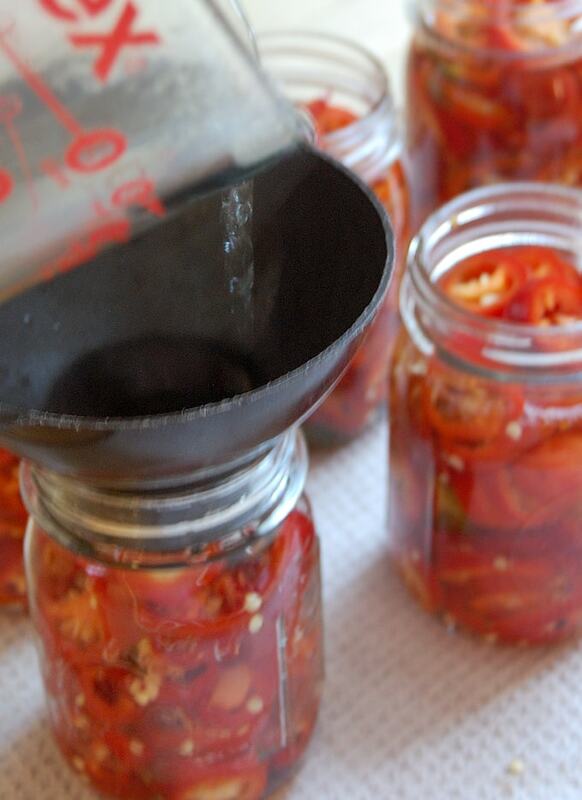 Special Equipment Used: Canning Jars, Canning Funnel, Jar Lifter, Water Bath Canner. Remove the jars and place on a kitchen towel to cool. 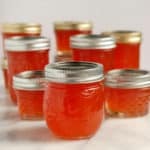 For More details on home canning visits the Ball Canning website. 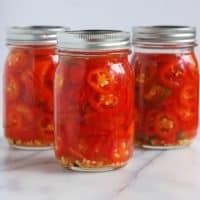 I sadly don’t have time for canning this year as we are moving and all my canning supplies are packed but I am definitely earmarking this for next year. Thanks for sharing at Celebrate with 8. Thanks, Wendy. Good luck with the move. 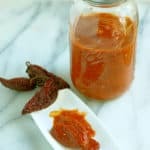 I have been doing a lot of canning with my jalapeno harvest this year, and I have a question. Where I live (Poland) it is next ti impossible to find 5% white vinegar. The only option is 10% white vinegar (I can get 5% apple, but sometimes I dont want to use purely apple vinegar). Does anyone know if I can use twice less vinegar if it is 10%? Hi Kyle, Sorry for the delayed response to your question. I was on vacation when your comment posted and I just saw it. The white vinegar I used for this recipe was 5% vinegar. I would say that if you’re using 10% vinegar you could use half as much and replace the rest with more water. So instead of 3c white vinegar, 1c cider vinegar and 3c water you can use 1.5c white vinegar, 1c cider vinegar and 4.5 c water. 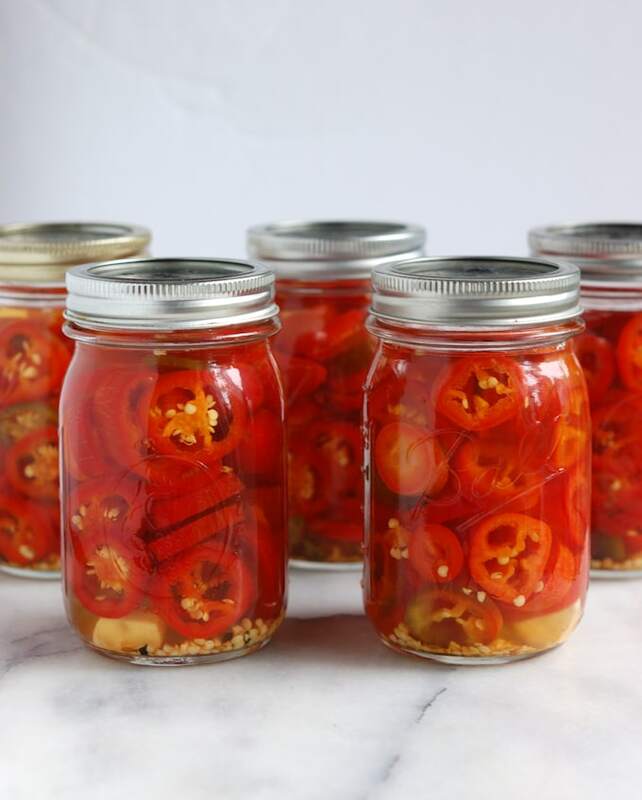 Do you have a recipe for pickled jalapeños that doesn’t contain sugar? Well, since there’s only 2 tablespoons of sugar in the recipe you could leave it out without compromising the preserves. I like the slight sweetness with the heat. But you can leave it out if you prefer no added sugar.